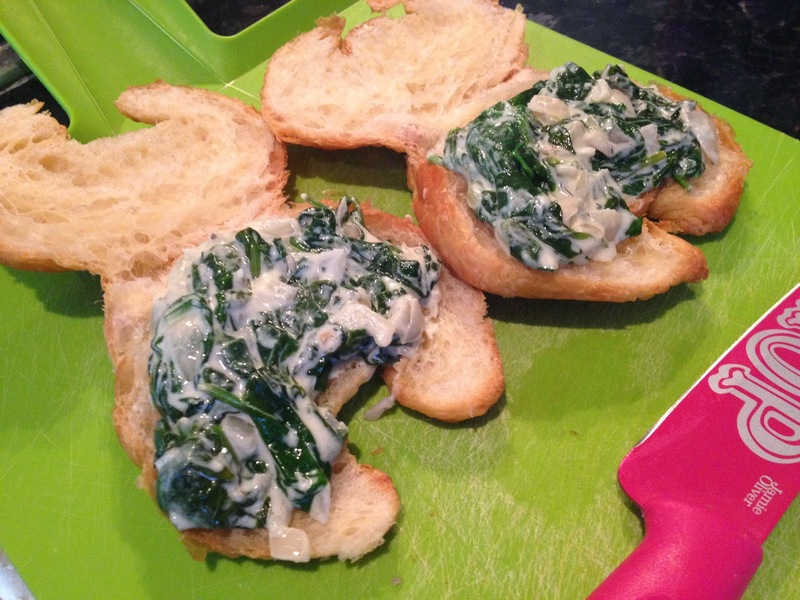 Spinach and goat's cheese croissants are another one of my favourite weekend breakfasts. This simple one-pan recipe makes for a tasty savoury croissant breakfast. These spinach and goat's cheese croissants are actually a great alternative to smoked salmon for a Christmas morning breakfast – they’re fairly simple, not too heavy and quite impressive to serve to guests. 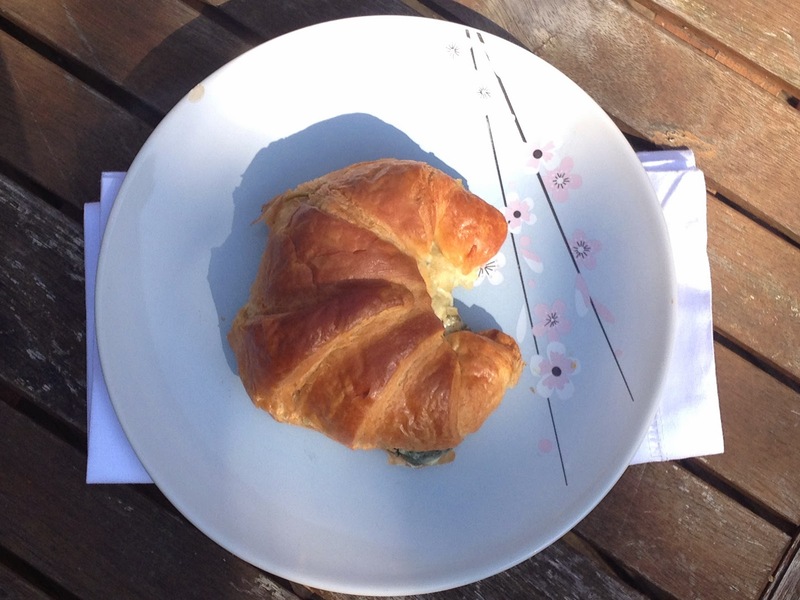 But it’s far too early to mention the ‘C’-word, apologies - this breakfast does in fact work any time of the year. 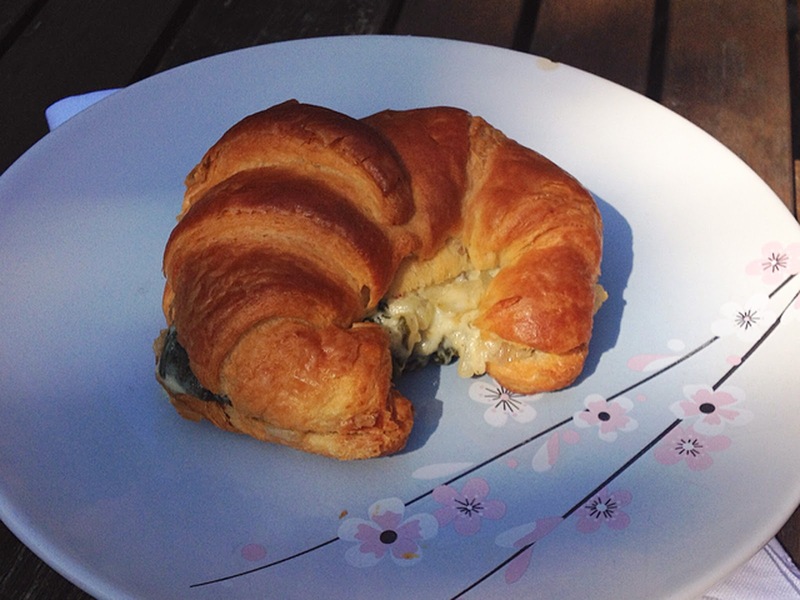 I usually like to make mine with miniature croissants, but my local shops didn’t have any when I went to make this recipe the other weekend. I think I prefer them small just because it’s a little more delicate to eat and less likely to fall apart. Turn your oven on to 150 degrees celsius, slice your croissants in half and leave to the side. 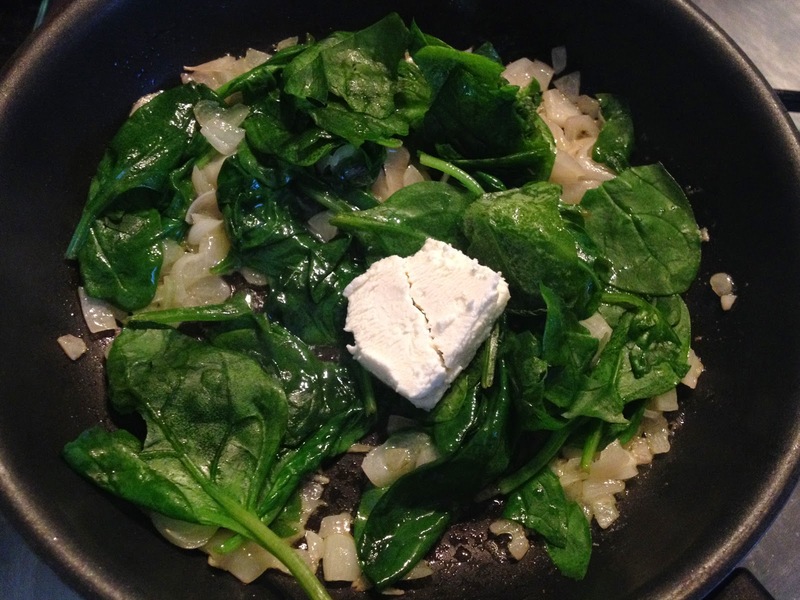 Fry off a finely sliced shallot in butter, once translucent add three quarters of a large bag of spinach and stir until wilted. Then stir in a log of goat's cheese (around 300g) and leave to melt down. Give it another stir to combine and then spoon onto one half of your croissants. Put the second half back on top and pop in the oven for 5-10 minutes until the croissant is heated through and serve immediately.